I want to start off by clarifying something; these bites are not donuts. They're not crumbled up bits of donuts smooshed together, they're not made with flour and they're not going to taste like a fried donut because they're not fried and not made with any of those ingredients. But when I made this recipe for the first time? This is what was said; "Wow. These taste like donuts". 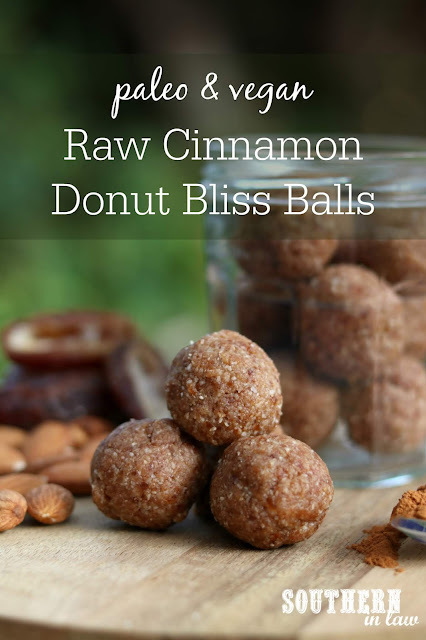 So the name stuck.... because it's so much easier to say than listing all of the ingredients and adding balls at the end. But I digress! I didn't come here to give you a lecture on the naming of these bites. What I came here to tell you is that YOU NEED TO MAKE THESE ASAP. 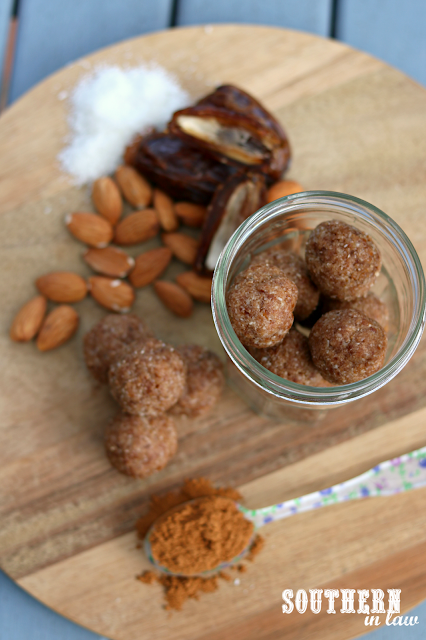 Because they're delicious and so easy to make and filled with nutrients too........ sooooooo you can't really go wrong. Call them whatever you like, but do yourself a favour and make them. 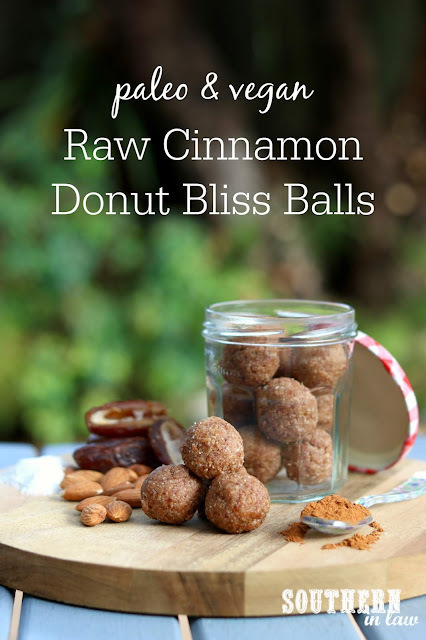 It's one of the latest additions to our bliss ball rotation (as we always have two jars or containers of bliss balls in the fridge for snacks/dessert) and we can't get enough! Add all of your ingredients to a food processor and process until all of your ingredients are finely chopped. Once all of your ingredients are chopped, press the mix together and see if it clumps together. If it's too dry, continue processing, adding a few teaspoons of water (very slowly, using just as much as needed) until the mix starts to clump together. Once your dough starts to clump together, knead it together into a ball (this is quite messy and will feel quite oily - but stick with it). Once your mix is kneaded together into a ball, break small pieces off and roll them into smaller bite sized balls. Continue until all of your balls are rolled. Enjoy them as is or chill them in the fridge so they firm up - the choice is yours! These balls will keep in the fridge in an airtight container for months - or can also be frozen to defrost (or eat straight from the freezer if you're like me!) and eat later. If you were going to eat your ULTIMATE donut, what would it look like? I'd really just love a gluten-y regular donut.. but I think a cronut would be my ultimate donut because I've never had one (the trend started well AFTER I found out I had coeliac disease)... but does a cronut count as a donut?